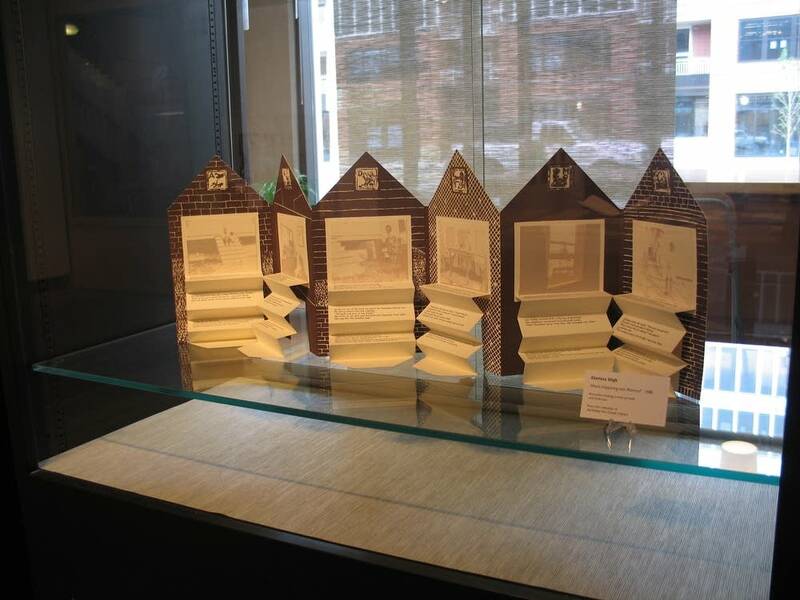 The word "book" is used loosely at the Center for Book Arts, and can include all sorts of paper art. 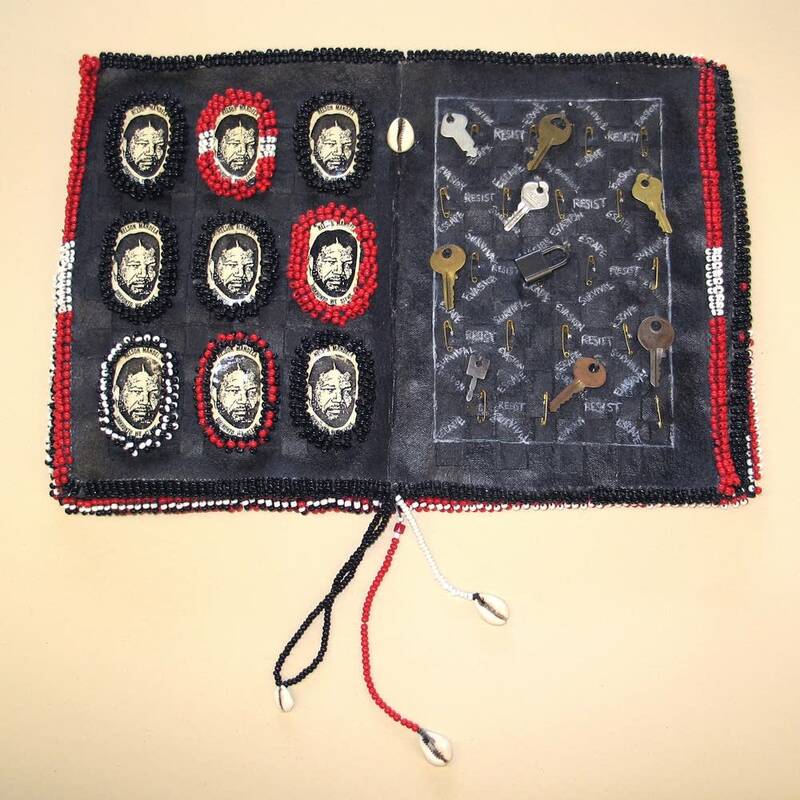 "We, Too, Are Book Artists," features books made from cloth, with images and keys sewn inside. One book is in the shape of a snake filled with African proverbs. One artist made a box lined with African cloth, with small masks and shells in its drawers. 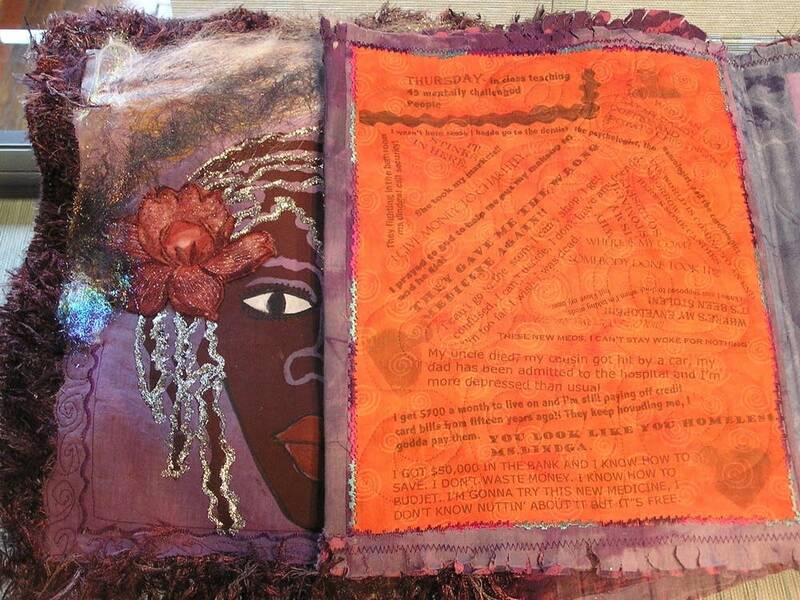 When Minnesota Center for Book Arts Director Jeff Rathermel began working on the project, he didn't realize there'd never been an exhibition of African American book artists before. "I'm glad I didn't know it at first, when we started putting it together and talking about it, because I think it would have been a little intimidating," says Rathermel. "Hopefully we would have ended up with the same product, but in terms of taking on that responsibility, I think it would have been a little daunting." 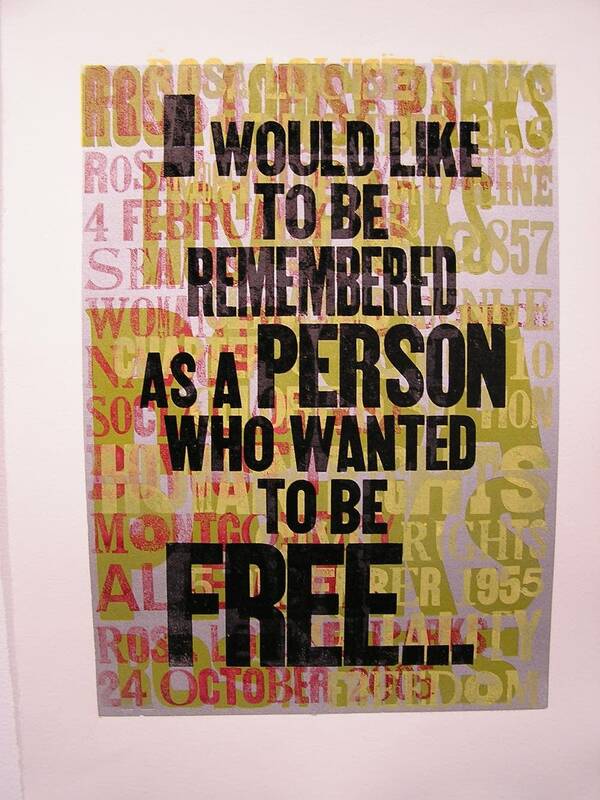 Rathermel enlisted the help of printer and book artist Amos Paul Kennedy Jr. to curate the show. Kennedy quickly discovered it was not going to be easy to find black books. "I was approaching it from 'If you are black or from African American descent and you do books, please send us something.' Because there is no comprehensive list of black or African American book artists," says Kennedy. "But through the course of about two months, we were able to discover about 25 artists whose primary medium are books. We were able to find at least 25 in the United States." Kennedy says there are more African American book artists out there, but they're known primarily for their work as printmakers or painters. Kennedy says he discovered book arts through his work with letter press printing. He says book art was not an area traditionally explored by blacks, but that changed in the 1960s. "At that time, generally the black culture was involved in the civil rights movement, and our printed ephemera was more political in its nature and it was not collected as a piece of artwork," says Kennedy. "So while there was a lot of black print and a lot of innovative things, it was not received in the same way as an artist exploring a new medium." 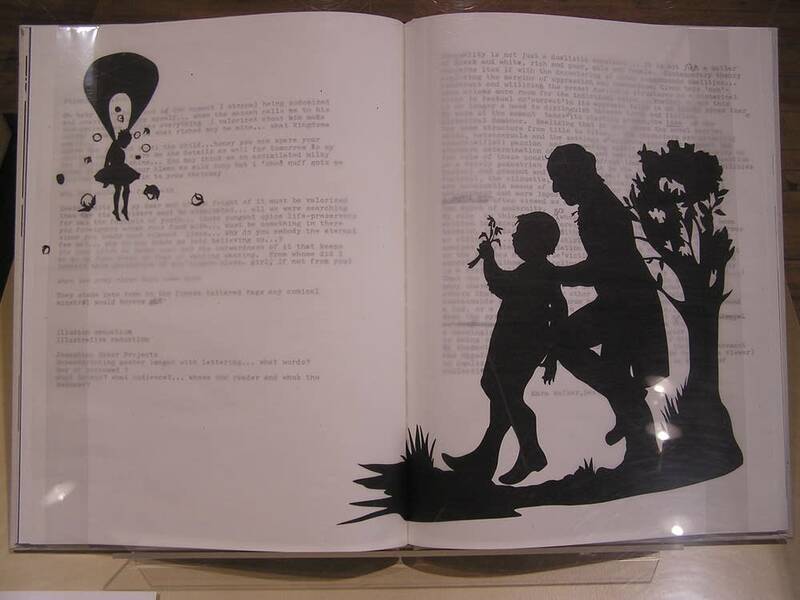 Artist Kara Walker has a book in the show, featuring her stylized silhouettes on translucent paper, layered over angry text talking about racism and sexism. Another artist created a book of letters, using each letter to talk about racially charged words. MCBA Director Jeff Rathermel says while many of the center's exhibitions feature shows that play with ideas and words, this show has a strong social justice theme. "They're putting forth strong messages, either from a social perspective or a personal perspective," says Rathermel. "But there's a sincerity in the work that shines through. And if you, as a reader and viewer, can look at something and know that the artist feels very strongly about it, but puts it in a context that you can understand, that's where the real power of the art comes through." 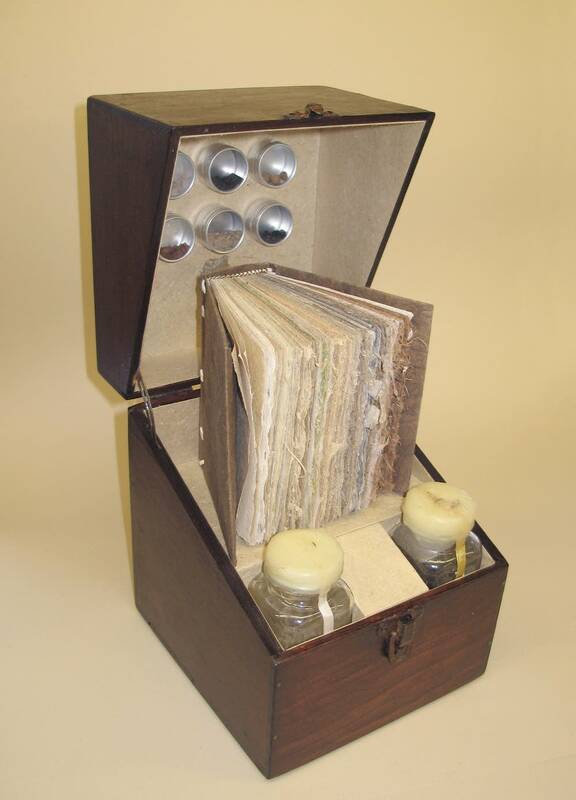 "We, Too, Are Book Artists" runs through Sept. 22 at the Minnesota Center for Book Arts in Minneapolis. Artist and curator Amos Paul Kennedy Jr says he hopes visitors to the exhibit will realize the book arts are open to everyone, and they too have the ability to make a book sharing their own story.